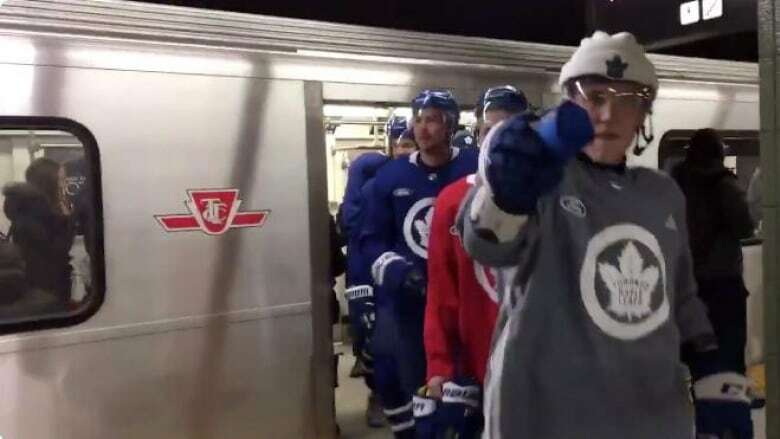 For their annual outdoor practice at Nathan Phillips Square, the Toronto Maple Leafs surprised commuting Torontonians by riding the subway to practice — just like a regular person, but in full hockey gear. Toronto commuters got quite the surprise when riding the "rocket" Thursday morning. The Toronto Maple Leafs went underground on their way to their annual outdoor practice; this year at Nathan Phillips square. Fans showed up to Nathan Phillips Square in droves to watch the annual event that promised giveaways, prizes, warm beverages and music. They also braved the frigid temperatures, but it was all pretty "cool" and worth it in order to see their favourite players up close. No word yet on if the team took the subway back home.